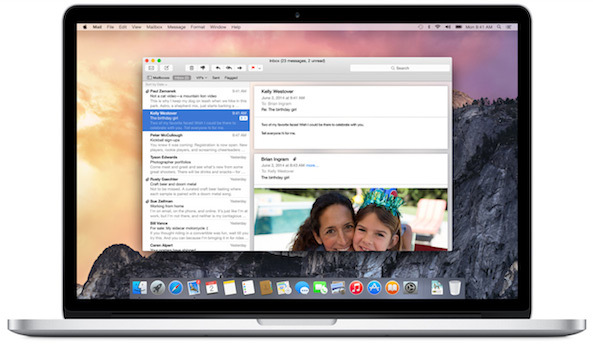 Apple has seeded a new beta of its upcoming OS X Yosemite 10.10.2 this afternoon. The update, labeled build 14C106a, is available through the Update tab in the Mac App Store, as well as the online Dev Center, for all Mac developers. Today’s release comes exactly one week after the previous OS X 10.10.2 beta, and Apple has once again asked developers to focus their testing efforts on the long-standing issue of Wi-Fi connectivity, as well as Mail and VoiceOver. It’s a minor update feature-wise, but it should bring about several badly needed improvements to the aforementioned areas, and improve overall stability. We’re installing the new beta now, and will pass along anything worth mention. As always, if you find something new, e-mail us at tips@idownloadblog.com.